The storm blew through tonight like the Cowboys' defensive line in the last seconds of the Superbowl. You know, like back in the 90s when the Cowboys were really good. (But I digress...) A very strong line of thunderstorms brought 80 mph winds and a good bit of rain. Tornado sirens blew and I kept my eyes glued to the radar. The critters were all fed and tucked in for the night, so I wasn't too concerned about them, but I really didn't want the electricity to go out and spoil my evening. I could see that it was moving fast, and if we could just hunker down for a little while, I knew it would blow on by. Thankfully, that's what it did. In fact, it blew by so fast, we got to enjoy a gorgeous sunset underneath the last of the rain clouds. Today I spent making preparations for the big road trip this weekend, getting the chores streamlined for Ted, who is in charge of the flocks and herds in my absence. The weather will be more favorable for him than it was when I went to Maryland, so that's a blessing. Nobody should be left with a bunch of unfamiliar duties that have to be done while slogging through ankle-deep mud. 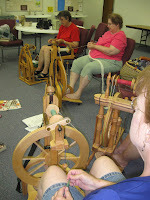 I also spent part of today indulging in my regular Wednesday spinning group time. That bunch of ladies means the world to me. We've been through quite a lot in the last 7 or 8 years - some of them have been together for more years than that. They lift you up when you're down, keep you grounded when you are tempted to float off into irrelevance, and slap sense into you when you threaten to jump off the cliff of foolishness. They are wonderful. The group as a whole has a deep compassion and exquisite sense of humor. So today, I have pictures of my friends, the Texas Twisters. Now that I have advanced technology at my disposal, I hope to blog from the road, and also tweet from my phone. If you're on Twitter, follow me at JacobsReward for all the highway hijinx. BTW - this is my first post composed and formatted completely on the MacBook. Workin' without a net here... So far, so good. don't cha just love your mac! you be careful in your travels. i'm still getting lightening flashes...dh is sleeping thru it...oscar is gluded to him under the covers acting like a warm vibrater. 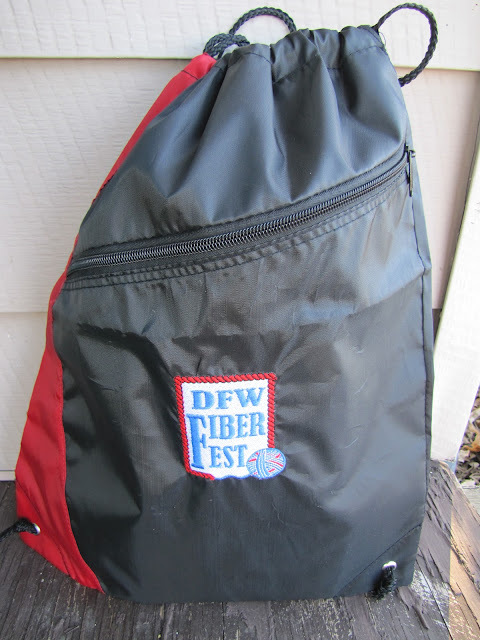 I, too, love the Texas Twisters!! We lost power in the storm and the store has some damage. But, we are safe and so is our family.